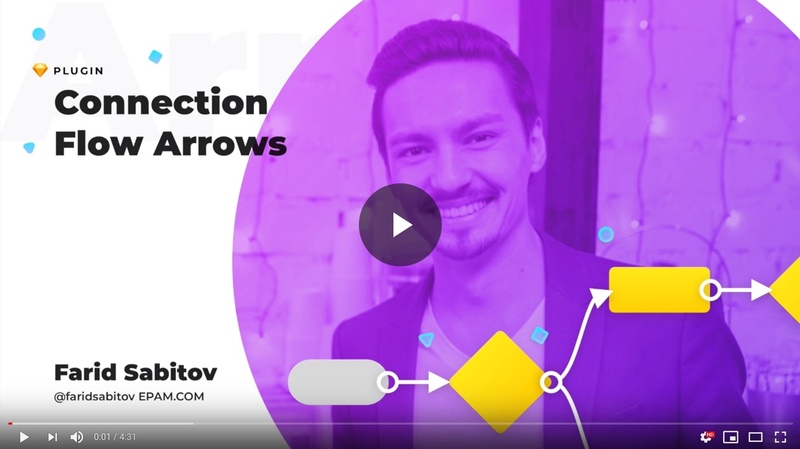 Want to be notified of new releases in faridsabitov/Sketch-Connection-Flow-Arrows? Create a connection. Select more than one layer in Sketch and click on "Plugins" 👉 "Connection Arrows" 👉 "Create Connection"
Update all connections inside artboard. Select artboard where all the arrows are stored and click on "Plugins" 👉 "Connection Arrows" 👉 "Update Connection" 👉 "From the Selected Artboard"
Delete connection between two layers. Select layers that have a connection and click on "Plugins" 👉 "Connection Arrows" 👉 "Delete Connection" 👉 "Between Selected"
Arrow Style. Right now you can provide an arrow style in settings. Make sure that the style that you want to specify is used on your Sketch document and it has "$arrow" text in the name. This plugin allows you to provide an arrow between two objects, but for creating user flows and sitemaps you need actual objects to interact with. Don't worry, we got your back!